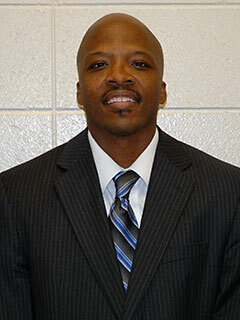 Jay Price has been the head men's basketball coach at Chattanooga State Community College (Tenn.) for the past ten seasons. In 2012, he was invited to work with USA Basketball for the first time as a court coach at the 2012 USA Men's U18 training camp. "I am very excited and honored to be a part of USA Basketball," Price said. "It's an unbelievable honor that I will cherish for the rest of my life." As the head men's coach of the Tigers, Price has compiled a career record of 224-90 (.713 winning percentage) and is the first college head coach to lead both men's and women's teams to the NJCAA tournament. He has been named Tennessee Community College Athletic Association Coach of the Year four times and has led four teams to Eastern Division Conference championships. In his first season as men's head coach in 2004-05, Price led the Tigers to a NJCAA Region VII semifinal appearance. Throughout his tenure at Chattanooga State, 42 players he has coached have received basketball scholarships to four-year colleges and universities and he has coached four players that have earned NJCAA All-America honors. Knoxville before embarking on a four year career playing professionally overseas. He played internationally in Venezuela, Saudi Arabia, Mexico and Dominican Republic, in addition to playing for the United States Basketball League (USBL). Prior to playing for the Volunteers, he was a standout at Brainerd High School in Chattanooga. Coach Price's experience in and knowledge of the game of basketball has also led to the creation of many important relationships that have served him well. 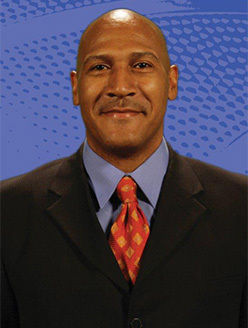 Coach Price has served as a small business owner, Director of Programs and Sports with the YMCA, and as public relations and marketing director for Allan Houston Enterprises. These insider relationships have also proven invaluable to Coach Price in assisting Chattanooga State graduates move on within the game and business of basketball. Jay and his wife Angela have three children: Jala, Kennedy, and Alexis.